Today is the crown anniversary of the UN World Wildlife Day. Declared 3 years ago as the day to raise awareness about the plight of precious animal and plant species, World Wildlife Day is now being celebrated more than ever. 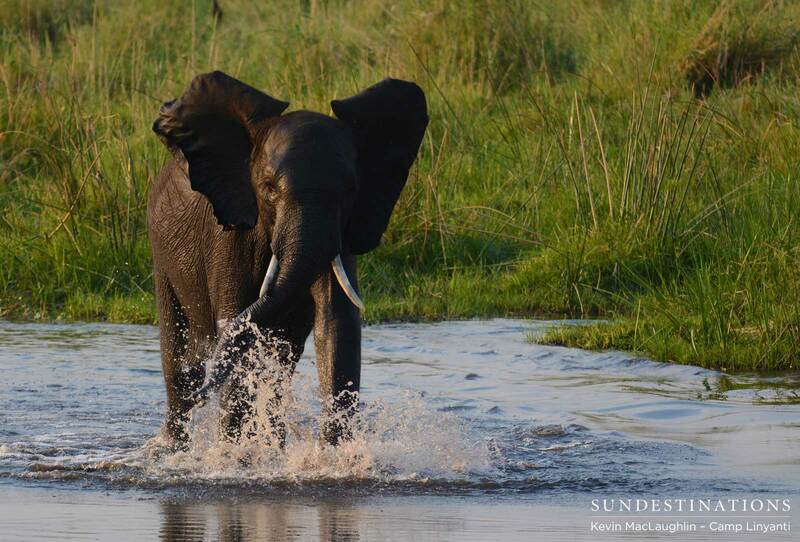 It is no secret that our passion for safari stems directly from our love and admiration for the wild world, so we at Sun Destinations would like to take this opportunity to celebrate 3 of the most endangered species whose future we hold in our hands. It is a privilege to wake up in the morning to the twittering calls of wild dogs, the deep moan of lions calling in the distance, and to see the evidence of animals that migrated during the night. 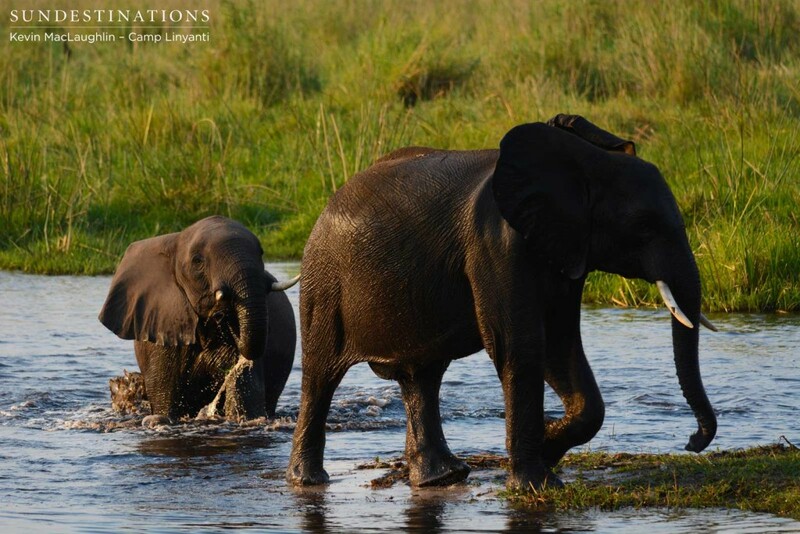 Up close encounters with the almighty elephants, and observing the dynamics between lions at a feast are outstanding moments for those who get to witness them. Sadly, there are a number of species in rapid decline. Our ecosystem, our country, planet earth, would not be the same without these creatures, and it is important to draw attention to their value in nature. 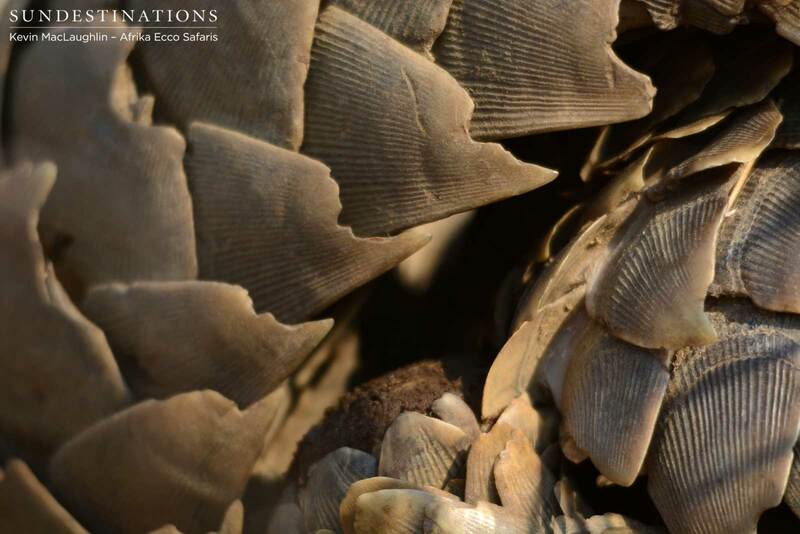 The pangolin is the most trafficked mammal in the world. 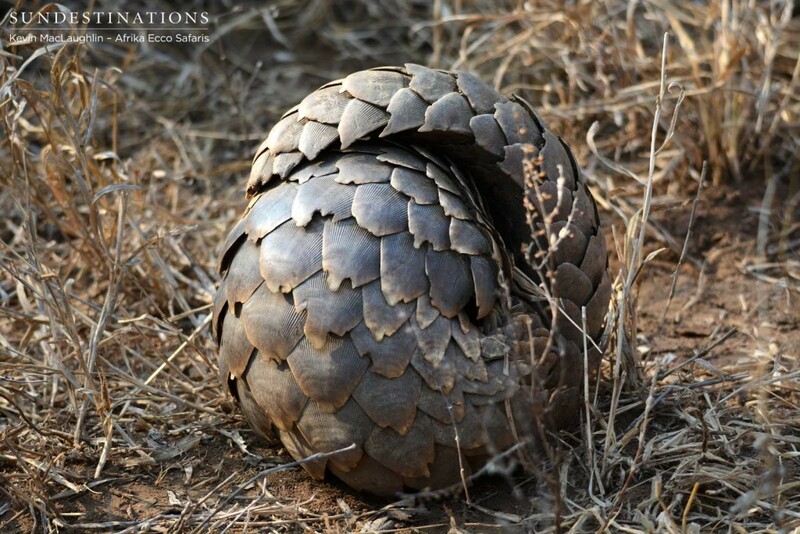 A strange, scaly, nocturnal creature living on a diet of ants and termites; one wouldn’t imagine it is a prized trophy for a hunter, but the pure uniqueness of the pangolin is exactly what has got it into trouble. The scaly armour that covers its entire outer body is what people pay a lot of money for, believing it contains medicinal properties, although it is made of nothing other than keratin – the same as our fingernails and hair! 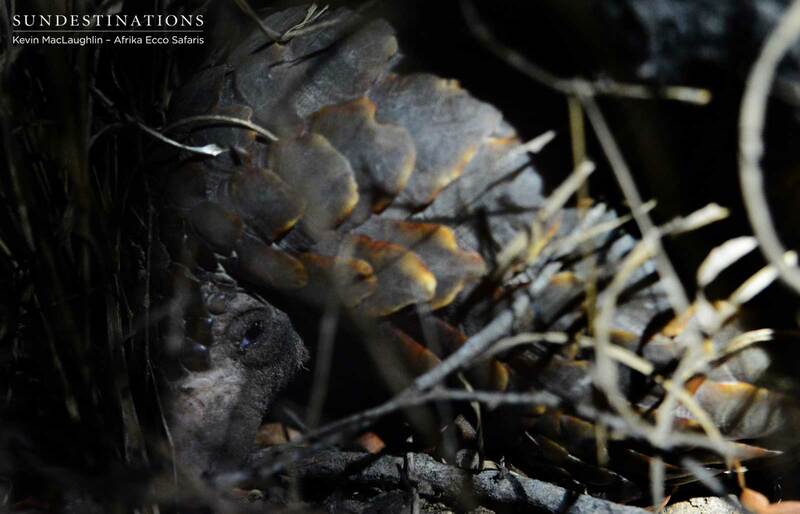 Sadly, our pangolin is now a rare and critically endangered member of the wild. They are very seldomly seen in their natural environment, but within the protected borders of Botswana, some lucky guests at Afrika Ecco Safaris were introduced to a pangolin fortunate enough to still be living in the wild. An experience like this had the guides talking for days, while the guests who bore witness to this spectacle will forever remember the day. The African wild dog, or painted wolf, as it is descriptively called, is the second most endangered large carnivore in Africa. It is a super specialised hunter, a highly sociable pack animal, and it is also at risk of dying out. For reasons resulting from human encroachment, such as conflict and disease, the wild dog population has declined significantly; a trend that is not regarded as reversible. 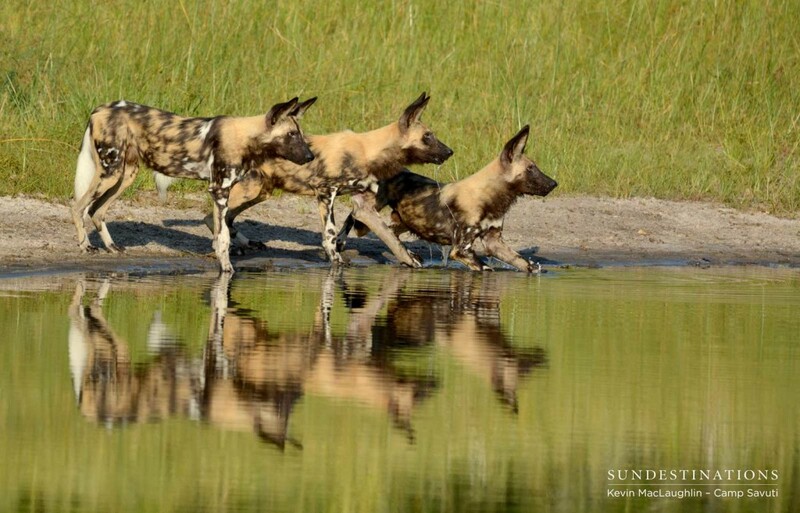 Imagine how remarkable it has become to witness a pack of these painted predators trotting and whistling excitedly to one another as they approached the Savuti Channel to drink. 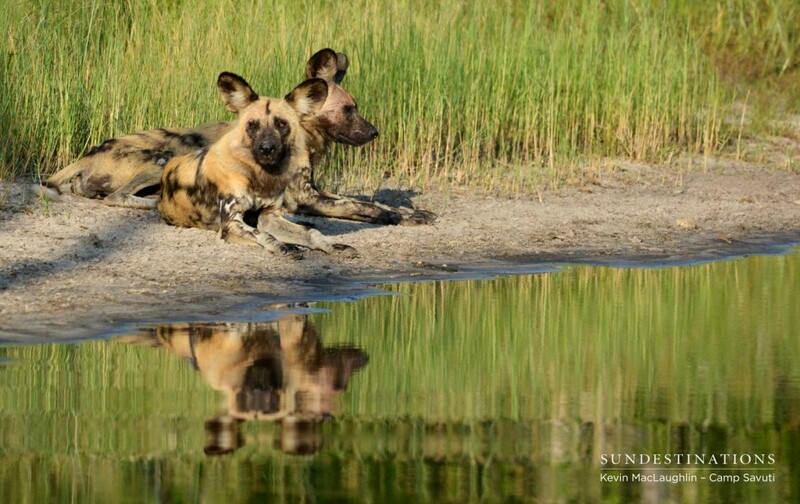 In an environment as temperamental as this, the channel is not always present, so when Camp Savuti guests arrived at its burgeoning banks and saw the reflections of African wild dogs in its surface, they knew they would hold these images in their memories for a lifetime. The ambassador animal of this year’s World Wildlife Day is the elephant. The world’s largest land mammal and its famous tusks are tragically facing a very short future on this planet, which their ancestors have roamed for tens of thousands of years. If the demand for ivory doesn’t end, the existence of elephants on the earth will. 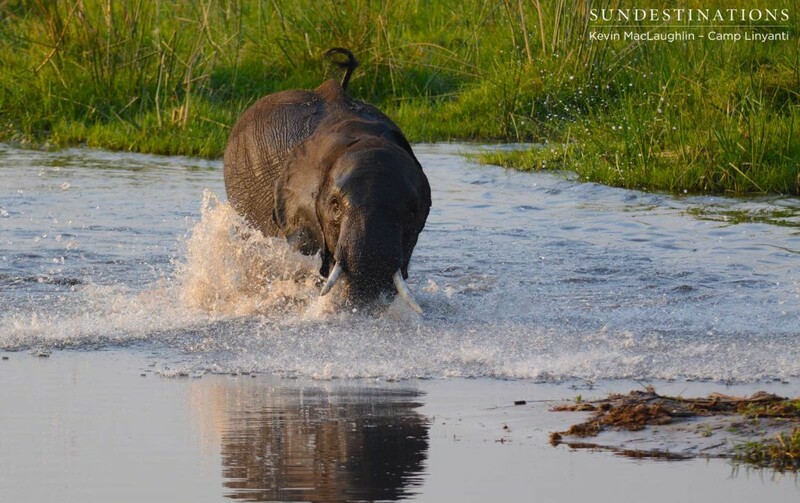 In the furthest northern reaches of Chobe National Park, a highly undiscovered region of Botswana lies in the Linyanti Marsh. This strip of twinkling swampland is a haven for elephants, and it is so seldomly explored that the elephants are surprised to see humans as they pull up in Camp Linyanti’s game viewer! 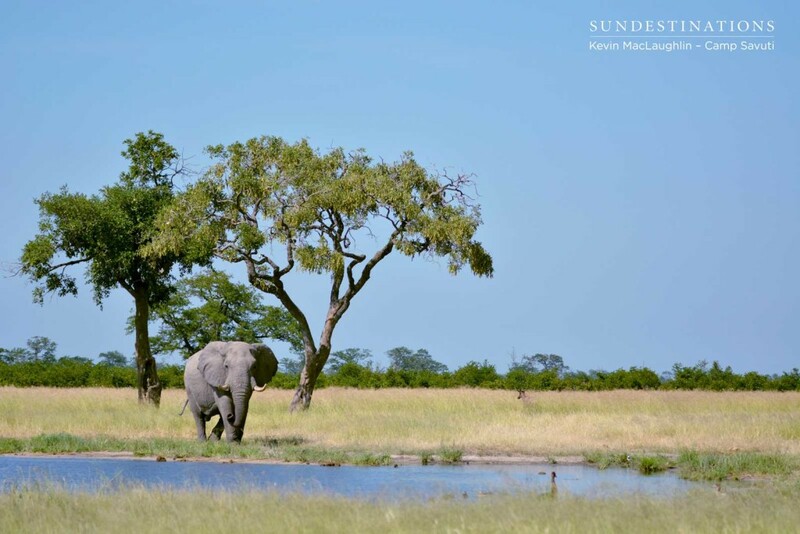 The exclusive location of this lodge splurges on the view, where guests watch the almighty elephant bathe all day long.